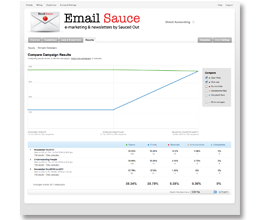 Quickly see how you campaign has performed with our simple email campaign snapshot. See how many recipients opened your email, clicked a link, forwarded your email to a friend, unsubscribed and lots more. 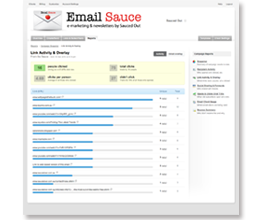 Find out exactly who is checking out your email with our Open and Clicks Over Time Report. 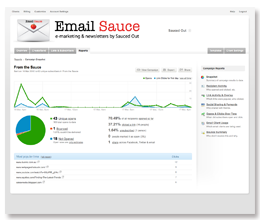 Useful for getting an overview for the life of an email campaign. You have the ability to view minute by minute detail if you wish by drilling down through report. Our Link Activity & Overlay report lets you see which are the most popular links in your email, as well as which subscribers clicked them. Switching on our overlay feature allows you visually to see which were the most popular links in your email. Great for making decisions on the format of your next campaign. 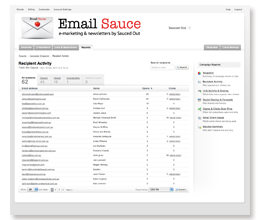 Easily compare any of your email campaigns with each other. Check to see if your open rate is improving over time. See which content is most popular with your subscribers and more importantly which content isn't. See who bounced and why, and we’ll figure out if we should try again or remove them from the list.